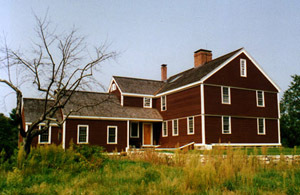 The main body of the Ellis house, a unique plank house on the Charles River, dates to the time of the Revolution but the small cape style wing with massive summer beam and gunstock corner posts was much earlier. 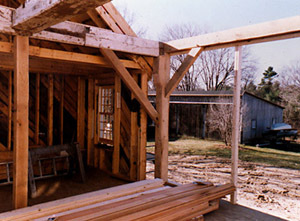 Only a few of these beams could be salvaged and were used in the reconstruction of the cape wing as the core of a new addition built as if it were a series of smaller additions. 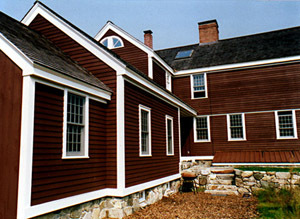 After structural reinforcement of the main house roof, a new red cedar shingle roof was installed as well as new siding and trim.